Keep nails in great condition whilst on the go with this strengthening oil, packaged in a handy pen applicator. There’s nothing more frustrating than nails which break all the time. 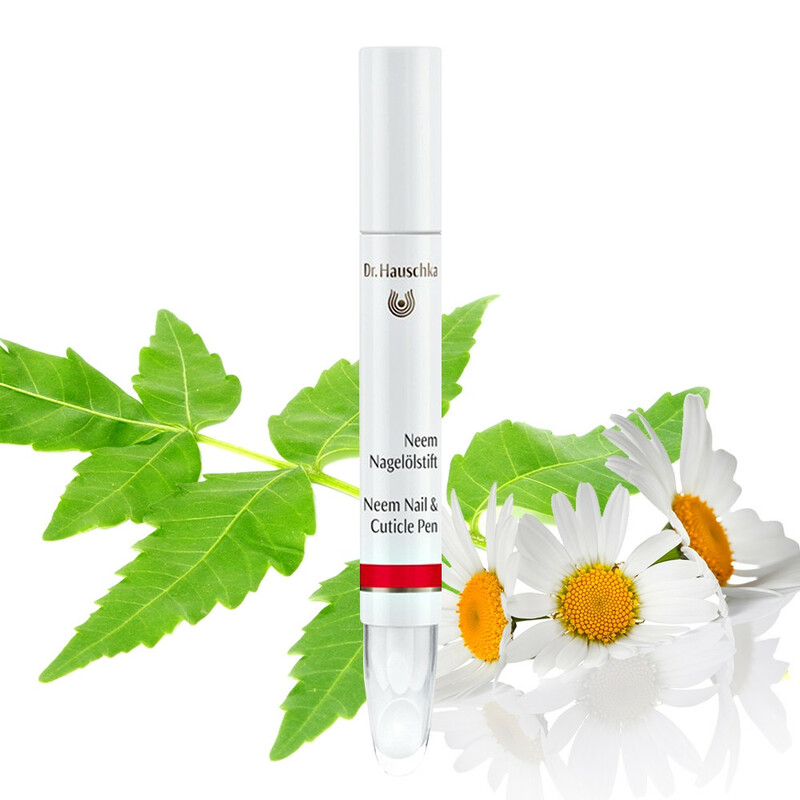 Now you can fix them on the go with this convenient pen applicator from Dr Hauschka. Containing Neem Nail & Cuticle Oil this hygienic applicator will supply just the right amount to be easily absorbed directly into each nail making them stronger and more resistant to splitting and breaking. Made with Apricot and Neem Leaf to protect against brittle nails. Chamomile and Anthyllis will also keep cuticles healthy which in turn will allow your nails to grow strong and healthy. Organic is the best care for your hands and nails. To ensure the applicator stays clean and in good working order, it is supplied with three spare tips. Skin Type: Ideal for those with dry, brittle nails. Application: When pressed gently, the fibre applicator releases just the right amount of Neem Nail & Cuticle Oil. Apply as and when necessary whilst out and about or on your travels. Tip: This pen applicator is also ideal for toenails. Matching Products: Use alongside Neem Nail & Cuticle Oil from Dr Hauschka to keep hands and nails in tip top condition. Ingredients: Arachis Hypogaea (Peanut) Oil, Melia Azadirachta Leaf Extract, Anthyllis Vulneraria Extract, Prunus Armeniaca (Apricot) Kernel Oil, Chamomilla Recutita (Matricaria) Flower Extract, Fragrance (Parfum)*, Linalool*, Limonene*, Geraniol*.